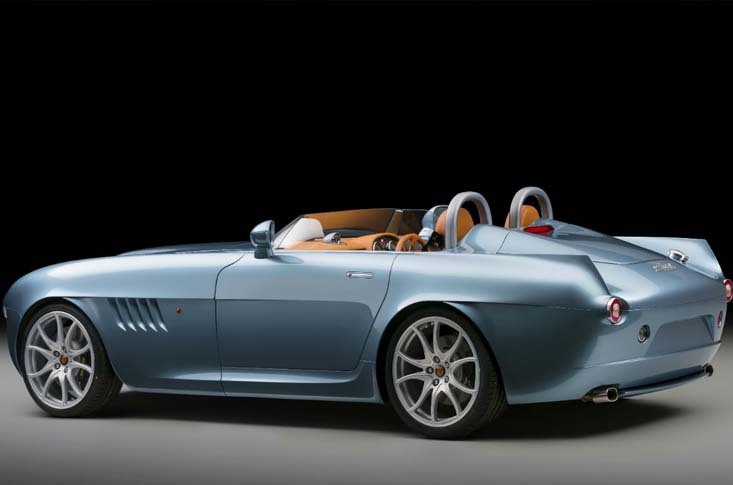 Tiny British car manufacturer Bristol Cars recently unveiled their first car since 2003, the Bristol Bullet. The Bullet is a 2 seater speedster designed to hark back to the old days of motoring and its used engines are great, combined with modern speed and power. The Bullet takes its power from a BMW V8 and with power figures of 370 bhp and 0-60 times of under 4 seconds and a top speed limited to 155 mph. Prices are set at £250,000. The Bullet is really trying to remind the public of the glory days of British motoring, with looks snatched from all the greats: MG; Morgan; TVR; AC; even Jaguar. The Bullet was also used to celebrate Bristol Motor Cars’ 70th birthday, and the name was taken from one of the original WW1 Bristol Biplanes and a 1966 Bristol of the same name. The new Bullet weighs in at an impressive 1130 kg lighter than many of its rivals; this in many ways is thanks to its carbon fibre body panels and aluminium chassis. The light weight and impressive power are all meshed together with fully independent coilover suspension, designed by the same company who are helping Ford with the new GT.